Wildlife, wild landscapes and colonial charm, all with a Caribbean coastline? Try Central America, says Nick Redmayne. The sliver of land between North and South America, in places only 30 miles wide, has for years held two areas of interest for tourists: Panama, for the canal, and Costa Rica, for its natural history. Yet Central America comprises seven diverse countries, and as more transatlantic air links – Thomson and British Airways have flown direct to Costa Rica for the past year and a half – are matched by increasing regional flights and reliable land transfers, the region presents intriguing opportunities for adventurous multi-centre travel. That might sound complicated, but it doesn’t have to be. Here we suggest three options that can be easily paired with Costa Rica for an exciting twist on Central America. Nicaragua’s history is characterised by dictatorship, revolution and CIA-fomented insurgency. Today, President Daniel Ortega has swapped fatigues for Armani and jeeps for Mercedes, so for tourists it’s one of the safest countries in Latin America. The economy is growing and a lively bar and restaurant scene in Managua, the capital, caters for a burgeoning middle class. 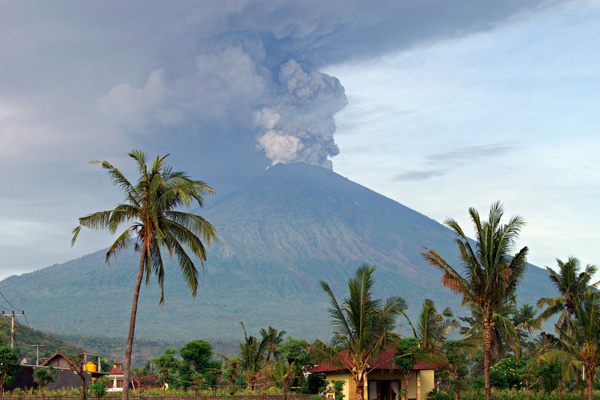 Bordering Honduras in the north and Costa Rica in the south, Nicaragua’s landscape is characterised by 19 volcanoes. Cities are ringed by conical summits regularly venting sulphurous gases, which occasionally make TV headlines when they turn into something more energetic. 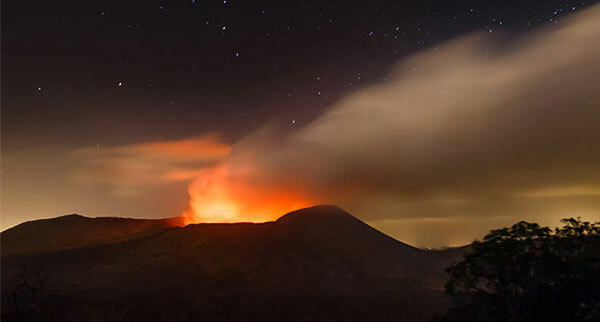 Twelve miles from Managua, the Masaya Volcano lies at the heart of Nicaragua’s largest national park. After hiking or driving through lava fields to the summit, it’s possible to peer down into a boiling lake of lava, plus night visits are spectacular. Elsewhere, among the cloud forests of 1,344m Mombacho Volcano, wildlife includes rich bird life, sedentary sloths, red-eyed tree frogs and endemic flora such as Mombacho orchids. Views over Lake Nicaragua’s 3,200 square miles are a mesmerising mix of water, islands and sky. The lake boasts 365 islands, many of which are private boltholes for the wealthy elite, though island villa rental opportunities abound too. 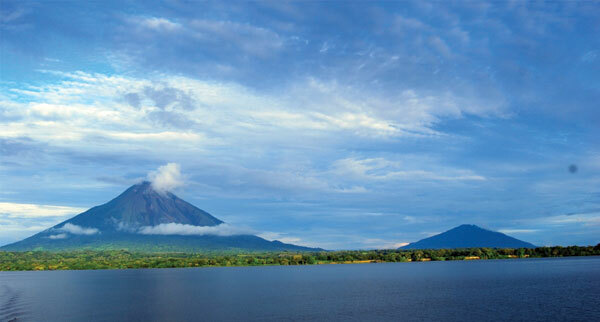 The lake’s largest island, Ometepe, has two volcanoes, capuchin and howler monkeys and hiking trails. In colonial Granada, on the shores of Lake Nicaragua about 30 miles from Managua, the Spanish left their mark in the architecture and layout of pastel-coloured buildings. Today, funky bars and cafes in the historic centre invite exploration. Take a seat on the veranda of Hotel Plaza Colon, order a macua, Nicaragua’s favoured tipple – white rum, lemon and guava juice over ice – and watch the world go by. Nearby, La Gran Francia, a converted colonial residence, is another pleasant spot to stay. Head 55 miles north of Managua and the university city of Leon is home to a leafy central plaza dominated by the white stucco façade of its neoclassical cathedral. A World Heritage Site and the largest church in Central America, it saw action as a firing position during the 1979 Sandinista revolution. Inside, the tomb of Ruben Dario, Nicaragua’s most revered poet and diplomat, is a site of secular pilgrimage. A rooftop tour provides panoramic views across the city and beyond. Nearby, Dario’s house, now a museum, offers insights into the poet’s life and Nicaraguan history. Googling ‘Honduras’ can fuel the same paranoia as an internet diagnosis of a sore throat. However, despite inter-gang crime, Honduras resonates for its natural beauty, world class diving, indigenous communities and ancient civilisations. Sell Honduras as a straightforward holiday destination and you invite criticism of its rough edges; call it an experience and pitch it at the right audience, and travellers won’t want to miss out. Most flights arrive into the second city, San Pedro Sula, or the capital, Tegucigalpa. Save for the thoughtful Museum of National Identity, there’s little for visitors in the capital, and the same can be said of San Pedro Sula, so tourists generally head farther afield. Just 30 miles off the country’s Caribbean coast, the exceptional reef system surrounding the island of Utila has long drawn divers. 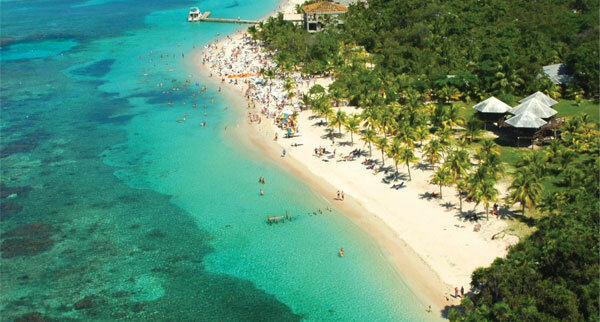 Also in the Bay Islands, Roatan too has evolved from a sleepy divers’ island to a cruise ship port, with direct flights from the US. Mass market tourism has its price, however, so don’t expect this to reflect the rest of Honduras. For those heading to the national parks, the towns of Tela and La Ceiba – a two-hour drive from San Pedro Sula – are useful bases. Punta Sal, a peninsula jutting into the Caribbean, forms part of Jeannette Kawas National Park’s 300 square miles. Access by boat from Tela takes 45 minutes; there’s no road. Trails explore a rich biodiversity across rainforests, mangroves and coastal wetlands. Howler monkeys watch from the canopy, manatees cruise the shallows, pelicans and ibises look out over the water, and even jaguars patrol the forests. At Laguna de Diamante, views conjure swashbuckling seafarers, explaining why parts of Pirates of the Caribbean were filmed here. At Cocolito Beach, tourists can swim and snorkel in clear waters before enjoying cold beer, fresh fish and gallo pinto (rice and black beans) under palm-leaf shelters. Descended from shipwrecked slaves and indigenous tribes, the Garifuna of Honduras’s north coast maintain a distinct culture. Of 40 settlements, the most authentic is Miami, about an hour’s drive from Tela. Thatched huts, small-scale fishing, wildlife cruises and fried fish lunches make for a simple life, just how the Garifuna like it. Villagers are friendly but shy, and reputable guides ensure communities properly benefit from tourism. Other Garifuna villages lie close to La Ceiba, at Sambo Creek. 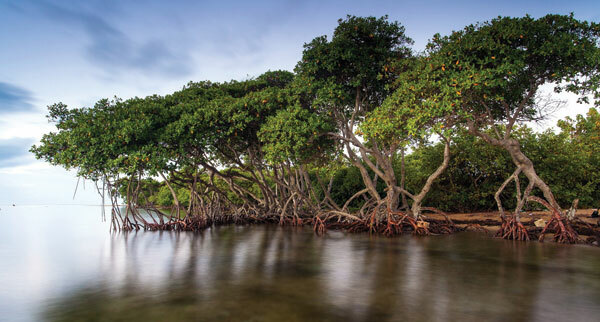 Kayak tours of nearby mangrove-fringed Laguna Cacao feature up-close views of egrets, fishing bats and occasional cayman. Playa de Cacao itself is a popular resort for Hondurans, notable for Garifuna seafood restaurants. The ruined city of Copan in the west of Honduras is a three-hour bus ride from San Pedro Sula. The city was a Mayan capital for almost 400 years, at its peak in the 7th century when it was inhabited by 20,000 people. Today, the complex of palaces, temples, pyramids and intricately carved stellae has been recognised by Unesco, underlining Copan as the most important archaeological site in Honduras. Bridging Costa Rica and Colombia, Panama is a country of secrets. The high-rise profile of Panama City itself is the first revelation, an abrupt contrast to surrounding jungle, and there’s even a Trump Tower tucked in among the glittering skyscrapers. The leaked ‘Panama Papers’ shed light on the investment habits of the great and not-so-good, highlighting an innovative financial services industry. However, it’s the canal that drives Panama’s economy. Panama City’s canal visitor centre overlooking the Miraflores lock is the alpha and omega of big ships in small spaces. 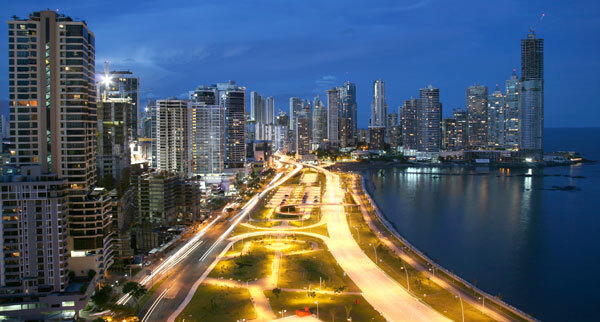 Panama City’s tourism heart is the Unesco-designated old town of Casco Antiguo. Stroll by the waterfront, among colonial palaces, theatres and churches, where cafes, restaurants and bars – chic and shabby – all have a niche. In the evening the rooftop bar of Tantalo, on Calle 8 Este and Avenida B, has memorable views across the city and offers total immersion in Panamanian nightlife. 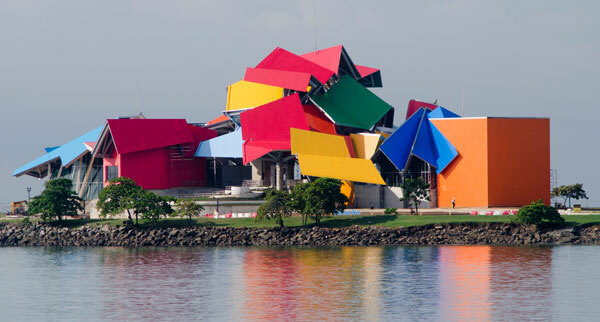 Before exploring further, call in at the Frank Gehry-designed Biodiversity Museum, then get up close with Panama’s natural history at Soberania National Park. 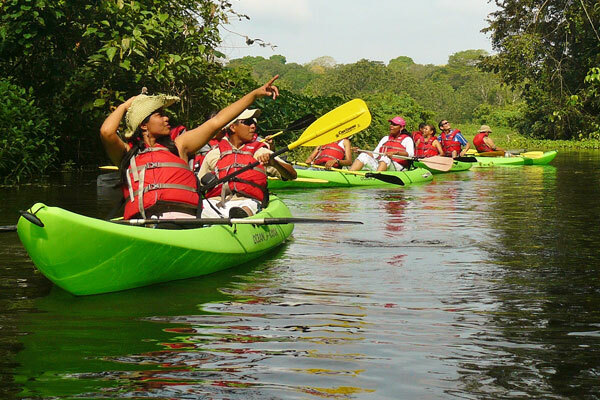 Just 15 miles from the capital, the park’s 55,000 acres adjoin Gatun Lake, Rio Chagres and the canal itself. Here, Gamboa Rainforest Resort’s 600-metre canopy gondola ride culminates in a lookout tower offering 360-degree views over the park. Other activities include boat rides or kayaking tours to observe monkeys, birds and crocodiles on the many river islands. The proximity of wild places to city life is another Panamanian revelation. Within a 90-minute drive from the capital, visitors can take canoes down the Rio Gatun to an Embera village, one of Panama’s seven indigenous tribes. Originally inhabiting the Darien region, communities migrated north to avoid insecurity and now live by showcasing forest skills, cultural traditions and handicrafts. There’s no mistaking the commercial nature of the Embera’s enterprise. 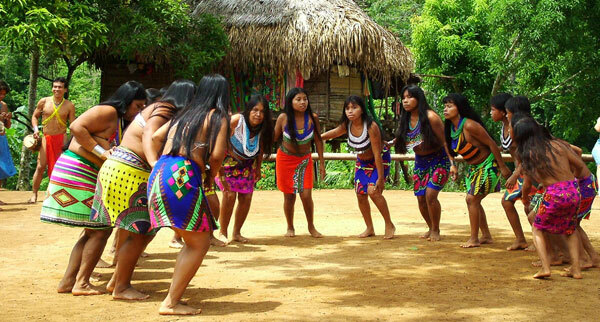 However, quiet and understated, the Embera allow glimpses of their lives without hard sell or tacky contrivance. Day trips and overnight stays in simple huts are available. Avianca and Copa Airlines fly between the region’s major centres and offer links from the US east coast. Airlines flying direct from Europe include BA and Thomson to Costa Rica; Iberia; Lufthansa and KLM to Panama City; and Air France to San Jose. Air Europa starts Madrid-San Pedro Sula in April. Time-rich clients could consider long-distance coach travel through firms such as Hedman Alas, King Quality, TransNica and Pullmantur. Tucan Travel offers a comprehensive 28-day small-group tour, featuring Panama, Honduras, Nicaragua, Costa Rica and Guatemala. The tour costs from £2,226 including two regional flights, B&B hotel accommodation, bus and boat transfers, and excursions. International flights extra. 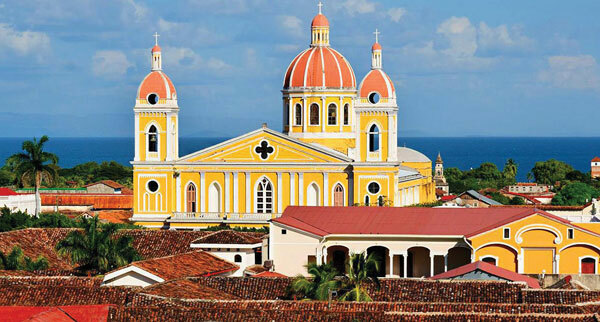 Rainbow Tours has a 13-day Highlights of Nicaragua & Panama holiday, including Panama’s Bocas del Toro archipelago and Lake Nicaragua’s Ometepe Island. 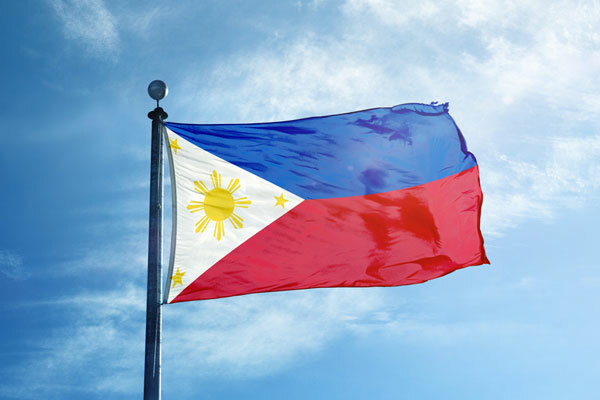 From £4,080, including international flights, accommodation, some meals and transfers.